A few weeks ago, Airbnb confirmed its intention to buy the https://www.hoteltonight.com. website. On average, 2 million visitors scour Airbnb every night looking to book accommodation… So, wanting to acquire a site specialised in last-minute hotel reservations was a no-brainer! It also clearly highlights Airbnb’s desire to play alongside Booking.com and Expedia. 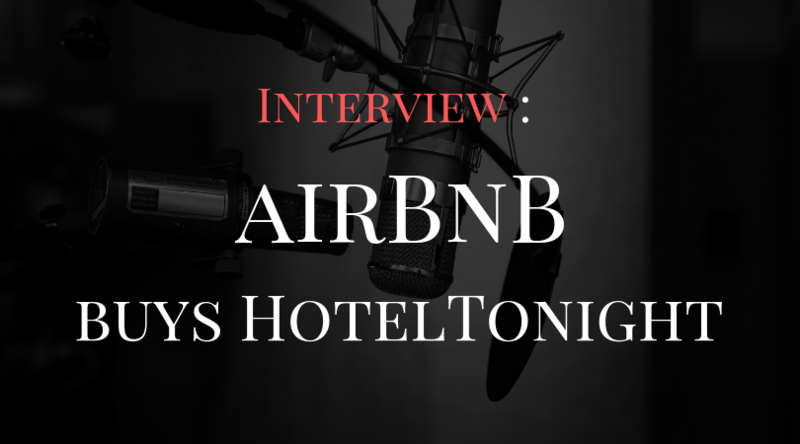 I had the opportunity to interview Adlene Djekiref, Market Manager of Boutique Hotels – Airbnb. Here’s this interview along with my own thoughts on some of her answers. Adlene: “I graduated with a degree in Revenue Management from the University & ESSCA of Angers, I started my career at Stairway Management where I managed the revenue of several independent hotels as well as EUROPCAR franchises around the world. I then joined the Homeplazza Group, which owns three hotels in Paris: Les Jardins du Marais, Patio Saint Antoine and Hôtel du Collectionneur, where I was in charge of revenue for five years. After that, I started my own consulting company in Hotel Marketing & Revenue Management. I also teach yield management in several hotel establishments such as CMH in Paris, IEFT Lyon and ESHRA in Algiers. Adlene: “On Airbnb, the hotels that work best are those that share the company’s DNA and values, both in terms of design and hospitality. If I had to sum this up in one sentence, I’d say it’s those who have understood that success in business is the result of customer satisfaction: “Love first, business will follow”. My thoughts on Adlene’s answer: Nothing new here! The hotels that work best are clearly those that focus on people and the experience. However, it’s interesting that, unlike traditional OTAs, the answer only concerns the customer experience and not the usual triangle “Price/Location/Experience”. Adlene: “Airbnb customers are quite demanding in terms of local experiences and the little details, beyond the cleanliness of the room and hotel. This is a clientele that will ask many questions about recommended restaurants, parks to visit, markets go to etc. It’s a clientele that also wants to build relationships with hosts. You’ll notice that the majority of comments left on Airbnb are about the host and not the room. My thoughts on Adlene’s answer: The fact that Airbnb customers ask many more questions directly to the host confirms the previous adage: people above all else. But I don’t think it’s just an “Airbnb effect”; it’s actually a perfectly normal exercise, which all travellers would take advantage of given the opportunity. For example, on the Hotel Experience platform, we see response rates to pre-stay surveys of more than 50%. And the most common questions are about restaurants and activities in the area. Airbnb does not seem to have created a new way of consuming. It’s simply had the wherewithal to provide travellers with a platform that really matched what they already wanted. Adlene: “Not really! The vision of our platform is to create a world where every traveller can feel at home – and the traveller profile on Airbnb is very varied. Adlene: “Our founders come from the world of design, and this is reflected in the customer experience both online and offline; it’s one of the keys to Airbnb’s success. I always recommend that our professional hosts keep this in mind when creating their ad on Airbnb. This means beautiful photos, a full and honest description, an eye-catching title that reflects the uniqueness of the place…. We have to be able to innovate and reinvent ourselves to meet the ever-changing needs of our travel community. My thoughts on Adlene’s answer: Overall, having a listing on Airbnb is not that different from what you’re already doing: nice picture, catchy text, etc. These are fundamentals that every hotelier should already have in place. No difficulty on that side. Adlene: “Adapt your content (text & photos), attract your first guests with good deals and prices to get the first comments, set your sights on a 90% response rate to customer questions, and be a stickler for quality in terms of the experience you can offer travellers, and finally know how to stand out from the crowd from your very first days on Airbnb through the additional services & experiences offered in your establishment. My thoughts on Adlene’s response: Adlene refers here to the response rate to customers. This does seem to be an extremely important factor for the users of the platform. In a previous article I wrote on the subject, a hotelier and friend told me the same thing (see the article here) and the importance of responding personally to each request. Here is a USP that differentiates you from current OTAs. It will of course cost you a little time in day-to-day management, but your reception team should be able to see to this if you’ve already automated the entire administrative side of your hotel. Adlene: “Don’t forget that 500 million travellers have already used Airbnb; every evening, an average of 2 million travellers are looking for a place to stay on Airbnb…. It’d be a shame to miss out. In addition, our hotel partners greatly appreciate our travel community. To quote the manager of the Europe Hotel Eiffel: “I love talking to them, sometimes they send me hearts on Whatsapp”. My thoughts on Adlene’s answer: I’m personally neither for nor against Airbnb. Yet, you’ve seen me singing this site’s praises for many years… So why did I get involved in this fight? Because, whatever the nature of the platform, new competition needs to join the market to prevent Booking.com from continuing to monopolise online hotel reservations. 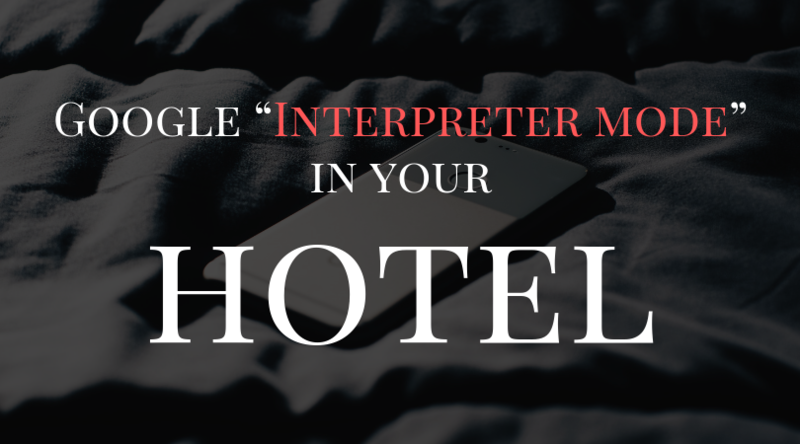 Most hotels complain about OTAs and… I totally understand them! Well, the best tip I can give them is to diversify. If, in a few years’ time, Airbnb generated as many reservations as Booking or Expedia, don’t you think that would encourage both of them to start “seducing” hoteliers again to try to keep them as customers instead of “forcing” them to stay or risk seeing their marketing drop suddenly?